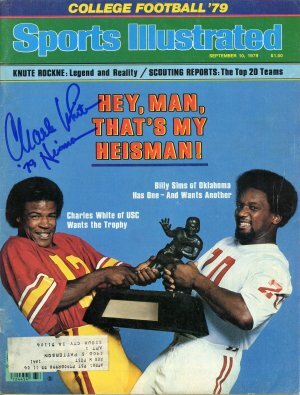 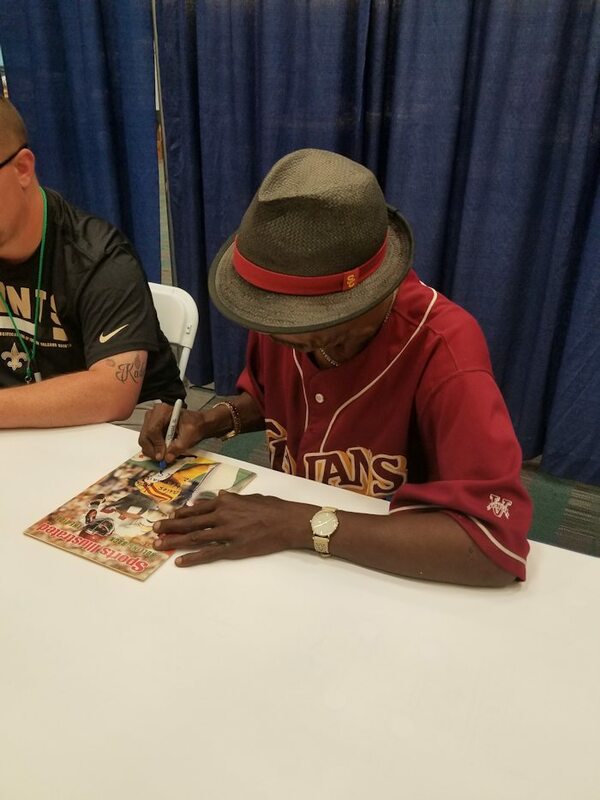 Charles White signed for me on July 1, 2018 at the GTSM Show in the Los Angeles Convention Center. 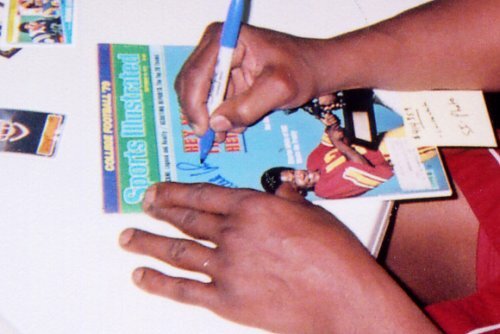 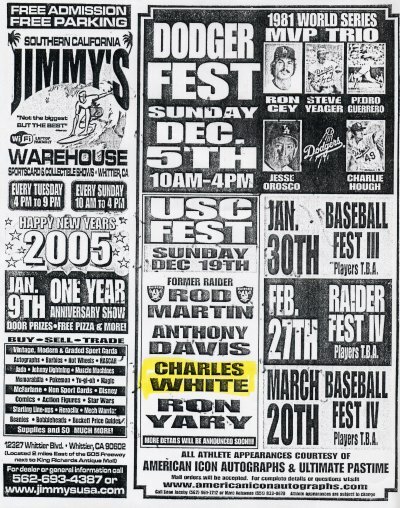 Charles White signed for me at the Dodger Fest Show on December 5, 2004 at Jimmy’s Warehouse in Whittier, Ca. 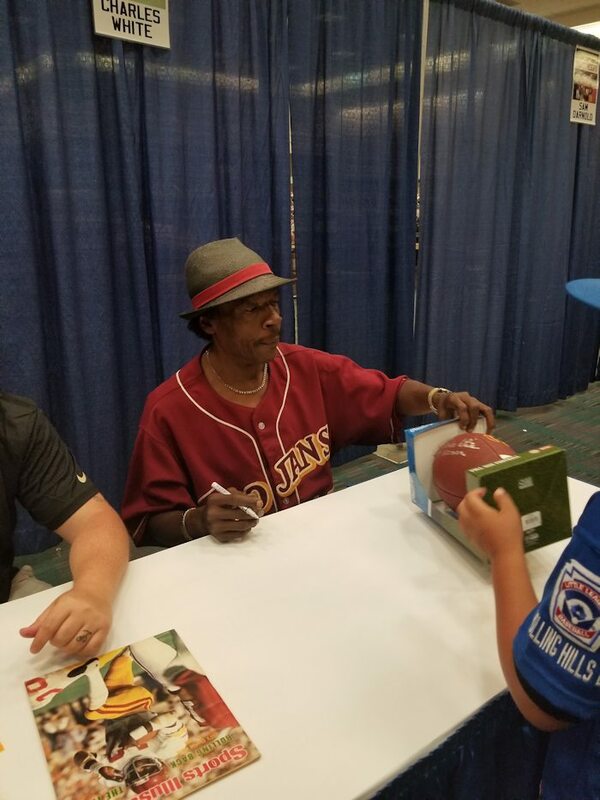 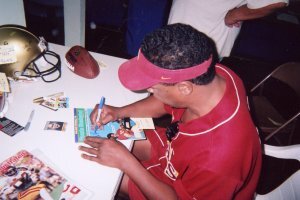 Thanks to American Icon Autographs for the autograph networking.